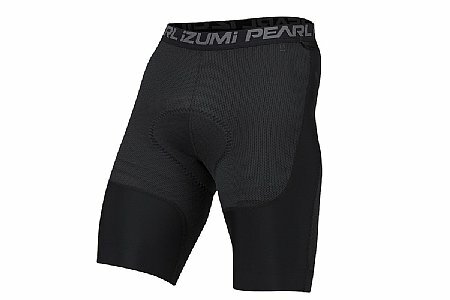 These Pearl Izumi Liner Shorts work Great! They provide enough comfort for the hard ride or when you are just chill'in on the singletrack. Super fit and they hold up to lots of wear.Thanks BTD for this item! These liners certainly add cushioning to your ride but I have found their main use to be keeping my upper legs warm on rides where I'm using summer bibs with leg or knee warmers. Great shorts for a reasonable price. I use these every week under whatever. I'm going to get two more for my son. Great value for a great short &40liner&41. I'm a larger rider (at 250lbs) and the XXL fits perfectly, and has fit since I was 275lbs. This is awesome because most bike apparel doesn't work for large riders, even at the large sizes. Only problem I've had was made the jump to XL too soon and while it fit a bit snuggly, the stitching on the chamois started to come undone. Sticking with my XXL for a few more pounds and will fix the stitching and get back into the XLs. Also, the chamois lasts a good while, even in wetter commutes. About 2 years old and the chamois is finally starting to weakenflatten. use on almost every ride, comfortable and no spandex look. good value, ride on multiple type bikes and prefer this as a useful item on road, commuter and mountain bikes.